Kecha Kashouty - meherbabatravels jimdo page! Dora ( Nifidora ) " bride's gifts "
In 1916, Kecha's father - Angelo and his brother Nick Costas, opened the first Greek restaurant in Norfolk called the "Norfolk Cafe". Later they moved to Williamsburg on the corner of Duke & Gloucester Streets. They had a black woman named Christine who worked for them, who later became assistant manager. Henry first met Kecha in Williamsburg whilst doing his law studies at William & Mary Univerity. He used to hang out at ' Jockey Corner ' which was a 'Kappa Sigma' fraternity area. 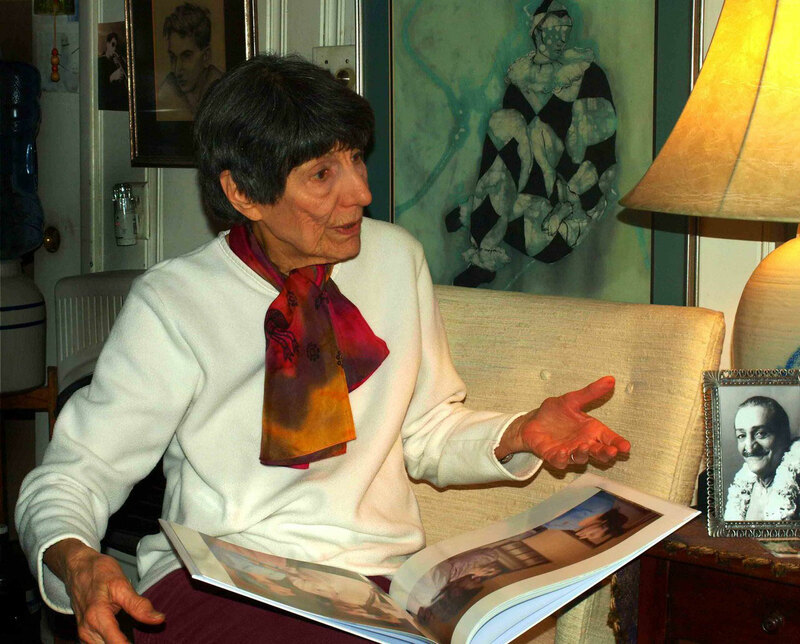 Kecha was a modern dance choreographer at the time. Kecha was 10 years younger than Henry. Henry David Kashouty, age thirty-three, was a lawyer from Virginia who had been looking all his life "for the kind of answer that would be able to hold up no matter what happened in life." He had read widely, but in 1955, as he wrote to Swami Nikhilananda (a disciple of Ramakrishna of Calcutta) in New York, "I am growing tired of reading of the Reality I am now convinced exists. I want to meet someone who has experienced that Reality." His wife Kecha's childhood friend, Elizabeth Sacalis, came from New York to visit, and Henry told her of his inner longings. 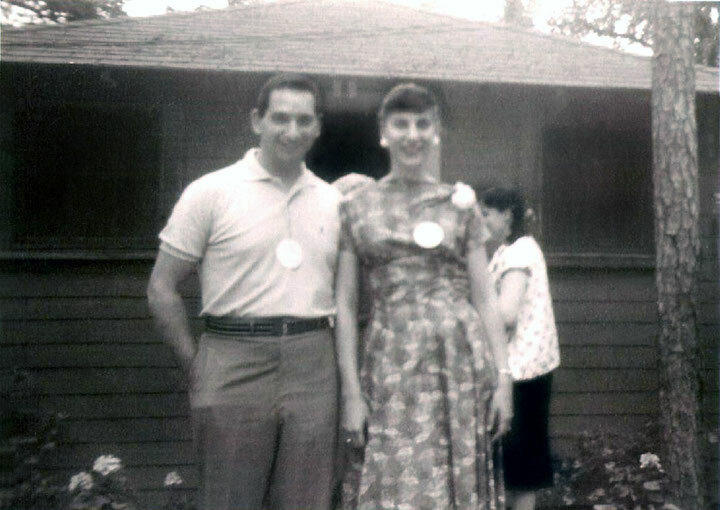 When she returned in December 1955, she sent him God Speaks as a Christmas present. Henry unwrapped the package in his office and saw Baba's picture. "He looked so ancient, so timeless," Henry remembered. "There was something about that picture. It was instant recognition. He was someone who had that authority, who knew everything there was to know. Someone in whom I could place my confidence. My conviction was one hundred percent." 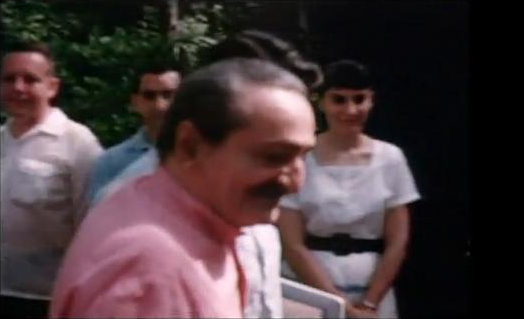 Kashouty had only read the inside flyleaf of the cover when he picked up the telephone, called Elizabeth Sacalis in New York and told her, "Meher Baba is the One. Please find out how we can meet him." Later, Elizabeth contacted Henry to say that she had been to the office of Dodd, Mead, and was told Baba had come in 1952, and was not expected again. 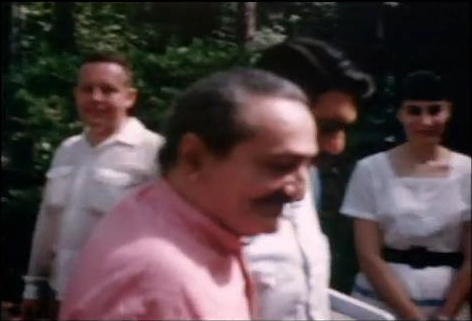 There was an address in India on the back cover of the book (King's Road, Ahmednagar), so Henry sent a special delivery airmail letter to Baba in which he stated: "Dear Meher Baba, I have your book God Speaks. It has great meaning for me. I want to meet you and I do not think that is impossible." He received a reply that Baba would be in New York the following spring. Kashouty said: "That was the beginning – the beginning of this love affair." When Baba arrived in America, Henry and his wife Kecha, age twenty-four, drove north to New York from Virginia. On July 20th, they drove to the Hotel Delmonico to meet Baba. Kecha had some errands to do, so Henry got out and went inside. They got to the floor where Baba was meeting people and gave their names to John Bass. The interview came to an end, and again Henry waited in the hotel corridor. When Kecha arrived and found that Henry had gone in to see Baba without waiting for her, she silently fumed. Henry, in turn, found it infuriating that she could not understand why anyone would wait for any reason to see someone who was God on earth! Baba sent for them, and they went in together. When he saw them he put his hands on both sides of his head and shook it, gesturing, "My God!" Although they had not uttered an angry word to each other, Baba dissolved their inner hostilities! Kecha went down and sat in front of him. Baba reached up, pulled off her earring and rolled it up in her hand. He began to feed her grapes. From that day on, the couple became his devoted lovers. Baba had written to Henry, "Your connection with me is of long duration. You are one of the fortunate ones." At last, Henry realized what Baba meant. This was Baba's third and final visit to Myrtle Beach, but his presence at Meher Center will be experienced for centuries to come. It was said that the light of his love was seen shimmering on every leaf of the trees in the Center. After several postponements, two hundred and twenty-five lovers from England, France, Switzerland, Israel, Mexico and different parts of the United States began arriving. Old lovers such as Charles Purdom, Delia DeLeon, Anita Vieillard, Hedi Mertens, Margaret Craske, Ivy and Charmian Duce, Don Stevens, Agnes Baron, Darwin and Jeanne Shaw, Fred and Ella Winterfeldt, Enid Corfe, Sam Cohen, Fred Marks, Filis Frederick, Adele Wolkin and John Bass arrived, as well as newer ones like Joyce Bird, Harry Kenmore, Henry and Kecha Kashouty, and others who had met Baba during his 1952 and 1956 visits. 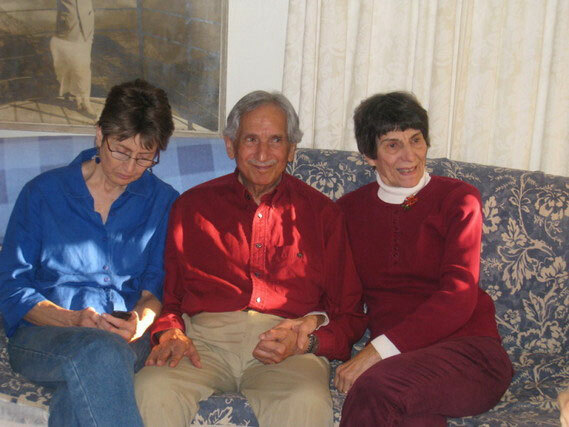 Beginning in 1956, with Baba's permission, Kecha and I began to have meetings at our home every Monday night [in Hampton, Virginia] similar to the meetings in New York City. In a letter to Baba, conveying my feelings of inadequacy in conducting these meetings, I used the expression "the blind leading the blind." Baba's response was that "when the Avatar is behind you there is no question of the blind leading the blind; and your love, faith and highly developed sense of feeling and understanding of the Avatar of the Age is praiseworthy." After reading Baba's statement directing those whose special circumstances required specific instructions from Baba, to request them, I did so. Baba's response through Mani was, "If it is possible for you to come next year to India, you should definitely do so. During that month with Baba, he will give you the specific instructions that you mention." In a subsequent letter, Baba stated, "Baba is very pleased with you and your dear wife and says there are no small instructions for you both except to love him more and more with all your heart. This is much more than any instructions he wishes to give you. Baba knows you and your dear wife and sends you both his very dear and endearing love." 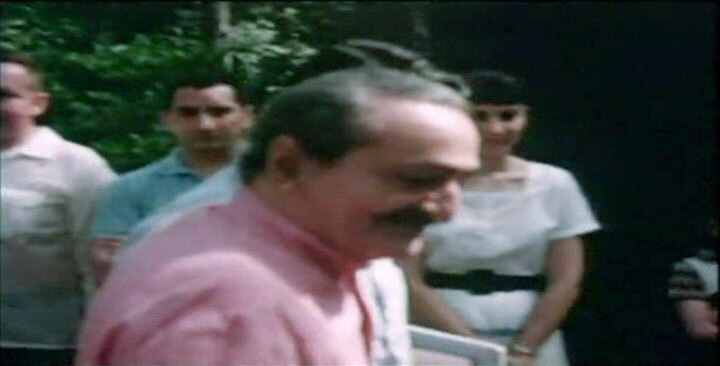 Meher Baba became the substance and direction of life for Kecha and me. There was no thought or occurrence for which he was not the total answer. The very difficult work for us was to give up self for Baba. What keeps us struggling to this day, trying our best to surrender our will to Baba's will, was and is our great good fortune, in knowing beyond question, we have no choice. 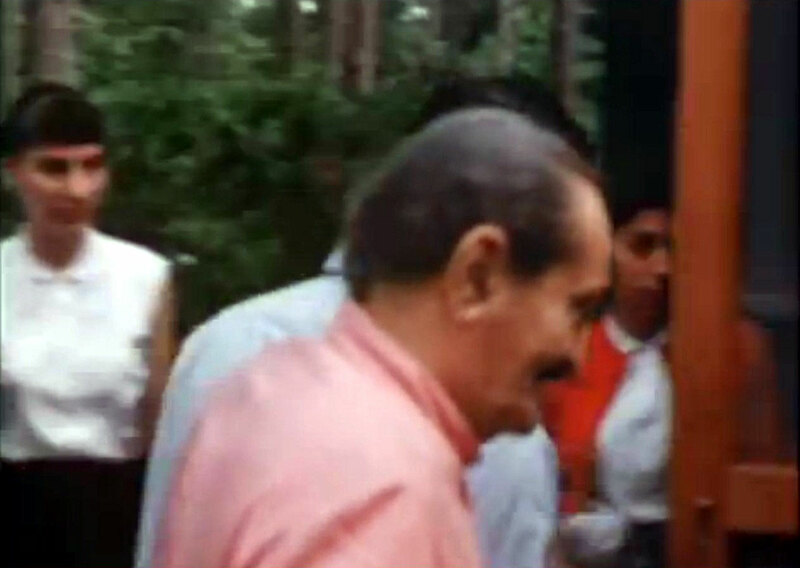 Meher Baba is the sublime destiny that excludes no one. 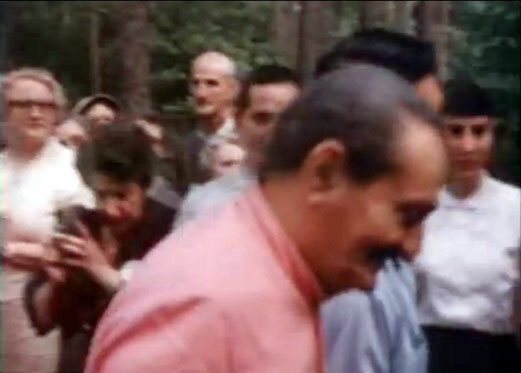 It is with this background that we came in the presence, again, of Meher Baba, God in human form, at his Center in the West in Myrtle Beach, South Carolina, in 1958. From our meeting with Baba on our arrival at the Center until his early morning departure for the west coast and Australia from Wilmington Airport, one experience revealed to me where I was in my relationship with the Divine Beloved and where I should be. Meher Baba, the most important fact in my life, was continuously sending for this one, that one, this group, that group, but not for Kecha and me. For him, I felt I did not exist. I was devastated. Every effort to rise above this fact was impossible. The One who meant everything to me did not wish to see me. There was no escape from this severely drawn conflict. 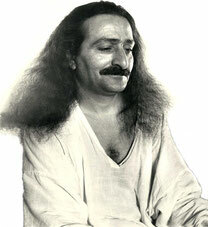 Of necessity I was driven to the only solution because I had no choice: What Meher Baba-God wanted must be what I want! Immediately upon realizing this, Baba's wish became my will and I was filled with unbelievable serenity, peace and bliss. Shortly after this experience Baba sent for us. Kneeling at Baba's feet, feeling a serenity that excluded everything else, I began automatically to massage Baba's left leg from the knee down, without any doubt that it was the most necessary thing to do. Baba was smiling. I felt naturally, that Baba was enjoying this. I felt Baba's Love; everything else was drowned in it. Baba asked each one in the room, pointing to me, "Do you know he is a rare gem?" One response I do recall came from Fred Winterfeldt: "I don't know what kind of gem he is Baba; he must be a diamond in the rough, but he loves you very much." Baba said a number of things about our connection with him which were the basis of encouragement and upliftment throughout the many dark and dry periods that followed over the years. But my experience while in Baba's presence left nothing to be desired. I had surrendered to Baba's Will. This experience was everything. There was nothing else. Suddenly Baba asked Kecha, "Whom do you love more, Henry or me?" Without hesitation she replied, "It is because of you, Baba, that I am able to love Henry." Baba's face beamed and with his thumb and forefinger forming a circle Baba gestured vigorously, leaned forward out of his chair and pulled Kecha into his embrace. When Kecha told Baba that I wanted to go to India with him, Baba replied, "What will you do if I take him?" Kecha said, "Oh, I'm coming too!" Baba said that we were all children in his love, that we must return home and find Baba where he really exists: in the hearts of those who struggle to love him. Again, in 1958, following Baba's momentous visit with us in Myrtle Beach, seated at the base of a marble column, with all of us in rows around him, Baba said, "Isn't it wonderful I never leave you!" In 1965, having completed preparations for me, Kecha and our children, Leslie, Michelle and Merwan, to be with Baba in India, during the sahavas he directed to be held, Baba canceled it. And finally, that momentous day in 1969. 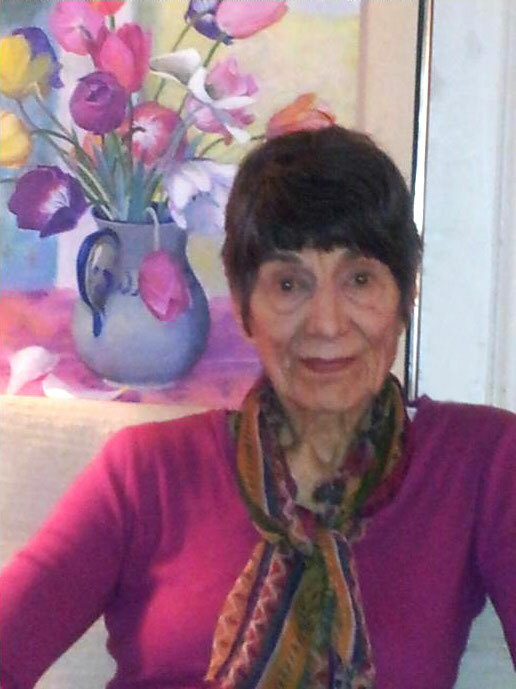 I arrived home during the quietness of late afternoon and was told by Kecha that Elizabeth Patterson phoned and said that, "Baba had dropped the body." Meher Baba, God in human form, Avatar of the Age, the Ancient One, the Divine Beloved of all in creation, was no longer physically among us. It was a staggeringly unexpected event. Don Stevens read the discourse on "Baba's Work" given during the Meherabad sahavas, and afterwards Baba commented: "This was meant for the Indian workers because I have clarified what I meant by work and workers on many occasions. This is my advice." Baba then asked, "Who did not sleep last night?" Kecha Kashouty raised her hand, and Baba asked why. "Because I dreamt I was trying to save someone from drowning," she replied. Baba instructed her, "Think of me for five minutes before going to bed." Harold Rudd said, "Baba, I have an infinite, profound reason for not sleeping. The baby (Raphael) woke me up." Baba quipped, "I am happy to hear your explanation, because you can now understand how all the babies in the world keep me awake." Harold Rudd rose and told a funny story. 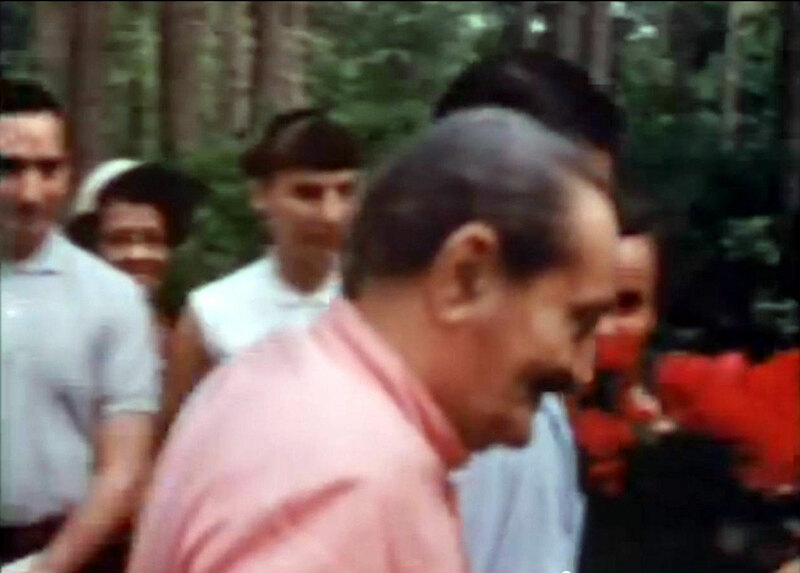 Then Kecha Kashouty offered Baba an "alligator crown" from the women. Baba called Harry Florsheim over and made him put it on. Mike Loftus followed by telling a joke. After Baba embraced each one individually, someone asked about habits and becoming a slave to them, to which Baba replied, "If you become addicted to God, then all your problems are solved. Go on drinking the divine wine of love until you become one with God. It is good to be addicted to the love of God."